Someone once said that “God couldn’t be everywhere so He created mothers.” Well,wether you agree with that assertion or not is a matter of how you interprete the phrase. Suffice it to say that though the phrase is just an expression,it bears a lot of weight. It’s that time of the year again when we celebrate God’s most perfect creature. Mother’s day is tomorrow. I know you may have been wondering what would be the best gift for your mom. As much as ‘wowing’ her with the biggest treat(hosting an elaborate party for her,taking her on a trip out of the country, getting her an expensive item etc) is not out of place,sometimes little things matter the most. Without much ado,here are the five little things I think every mother will really appreciate. 1.Wake her up with a very big hug in the morning. 2. Give her a kiss and recite the big words “I love you,Ma” (replace the ‘Ma’ with a ‘pet-name’ you address her by. I call my mom “Sweet Sixteen” *****wide grin*****). 3. Prepare a special breakfast just for her. 4.Give her a letter. Tell her all the loveliest things you have never said to her before. 5. Make her a customized/personalized Mothers’ Day card. Encapsulated in the card should be a lovely poem. ****Let me dare add a sixth. If you have got sibblings,get each and every one of them to do the above as well. This will really really wow your Ma. As an addendum, this is a plea to all wife or mother-beaters. Yes, don’t think it strange to hear of mother-beaters. If you have ever raised your hand on your Ma EVER, use tomorrow to ask for her forgiveness and turn a new leaf. Also,if your Ma has ever ‘beat her breast’ for you, seek her forgiveness ASAP! Furthermore, if you’ve ever made your Ma cry or lament, follow suit. Are you also always involved in an altercation with your Ma? Change! There are many things a woman(Moms) can take; hearbreak from their OWN children is not one of them! Don’t break the heart of your Ma. 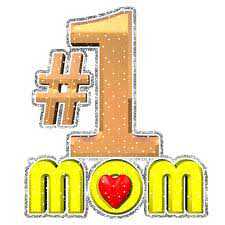 Finally, to all mothers out there,happy mothers day in advance. God bless you and keep you. You shall all enjoy the joys of motherhood from your children, and your children’s children, and your children children’s children,and your………..